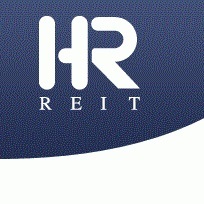 H&R REIT (HR-UN-T) will sell all 79 of its wholly owned U.S. retail properties and its 12 remaining U.S. industrial properties as part of an overall strategic review. The REIT says the portfolio changes are “significant” to streamline and focus the portfolio on assets which offer the strongest potential for growth in net operating income and net asset value. H&R values its U.S. retail assets at about US$750 million and its U.S. industrial properties at about US$145 million (all figures in U.S. dollars). The first tranche of retail properties, valued at about $250 million, is expected to be put on the market during the Q1 2018. H&R expects proceeds to be used for future acquisitions in its Lantower Residential portfolio in areas of the southern U.S. with strong growth and gateway cities. As of Nov. 12, Lantower Residential had a portfolio of 13 properties. The REIT says its sale of U.S. industrial properties has already begun, with the disposal of three properties during the third quarter. H&R made the announcement as it released its third-quarter results for the period ending Sept. 30. In other developments, H&R says the departure of Sears Canada from its malls gives the REIT the opportunity to lease the department store’s former spaces to higher-paying tenants that can generate higher traffic and greater profits. Sears paid net rents of only $3.47 per square foot, accounting for less than 0.4 per cent of the REIT’s gross revenue, and was “an unproductive anchor tenant paying rents well below market rates,” H&R said. “Sears was an event that we saw coming, we’ve been planning toward and we’ve been gauging the tenant interest for quite some time,” says Patrick Sullivan, chief operating officer of Primaris Management, which operates enclosed malls and retail plazas throughout Canada under H&R’s Primaris portfolio. Sears occupies nine stores in the Primaris portfolio, totalling about 675,000 square feet. Philippe Lapointe, chief operating officer of Lantower Residential, notes the company is expected to close soon on a 282 unit building in Orlando, Fla., near Disney World and Universal Studios. Other acquisitions are planned in Tampa and Dallas. H&R says its Lantower portfolio, which now represents about eight per cent of its assets, should eventually grow to 15 per cent or more, as high-quality multi-residential properties in large and growing markets offer attractive stability and growth. Construction is progressing on $1.2-billion Jackson Park development in Long Island City, New York in which H&R has a 50 per cent ownership. The project includes 1,871 luxury residential rental units and occupancy in the first tower is scheduled to begin in early 2018. In the second quarter of 2017, H&R purchased Ambrosio, a US$52.8 million, 370-unit multi-family property under development in Austin, Texas. H&R says it does not expect to increase its office portfolio through acquisitions, given the strength in the global real estate investment market. Its office portfolio of 36 primarily class-A properties represents about 50 per cent of its portfolio and is “among the highest-quality office portfolios in North America,” the company says. H&R now has total assets of about $14 billion. Sullivan says Primaris has been modifying its retail merchandise mix, reducing the fashion category weighting in favour of food, health and beauty, restaurants and entertainment uses. The approach “has helped to strengthen sales for remaining fashion tenants while adding non-fashion tenants that generate higher rent,” he says. As of Sept. 30, the occupancy rate in the Primaris portfolio is 91.8 per cent (94.5 per cent including tenants committed but not yet open), compared with 87.4 per cent at the beginning of the year. All former Target stores should find tenants soon, Sullivan says. During the third quarter, four large format tenants, including Marshalls and Home Sense, opened in former Target stores. In addition, a new and expanded food court opened in a former Target in Medicine Hat Mall, and first month food court sales showed a 19 per cent increase compared to the same month last year in the previous location. Sullivan says negotiations are proceeding well with a number of national tenants who are interested in leasing the Sears stores. Sears pays “a very low” average base rent of $3.47 per square foot in its Primaris locations while Target paid an average base rent of $5.18 per square foot. Sullivan expects an average base rent of about $17 per square foot from the Target replacements and similar numbers from the Sears replacements. President and CEO Thomas Hofstedter says H&R is committed to boosting its investor disclosures through such steps as commencing quarterly conference calls and analyst tour events of properties. H&R’s disclosures and flow of information “continue to improve,” notes analyst Neil Downey of RBC Capital Markets. Scotiabank analyst Mario Saric reiterates a hold rating on H&R in a latest note to investors.